Are you performing with us in an upcoming event and looking for the necessary software? LUTE’s semi-annual informal reading of Terry Riley’s “In C” arranged for laptop ensemble is happening on December 12th, 2018. Come take a stress break from final exams to commune with Terry Riley’s 1964 minimalist masterwork via laptop. We are seeking thoughtful individuals from all backgrounds and technical and/or musical abilities. 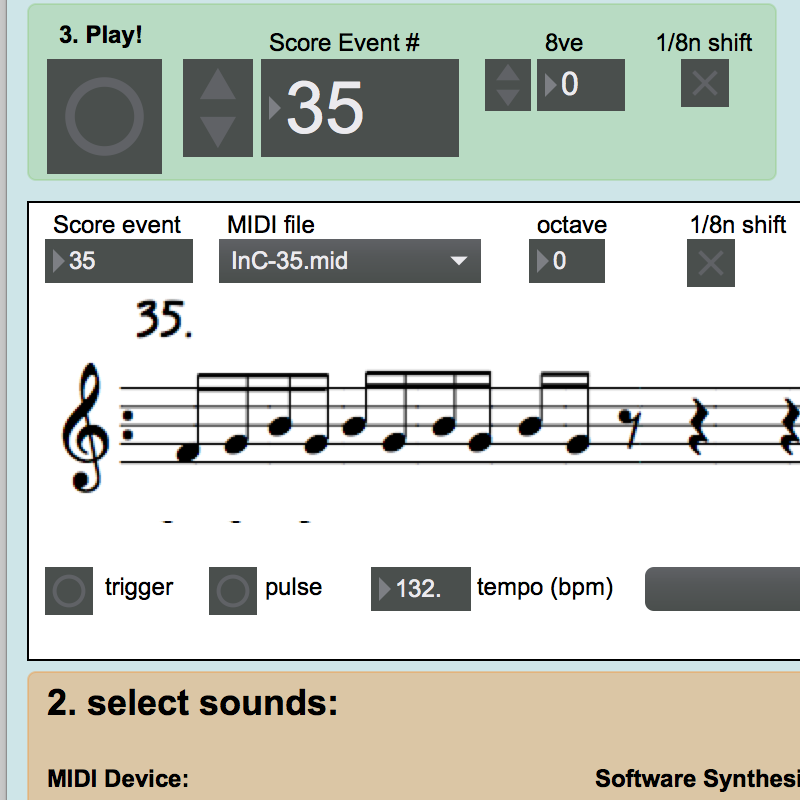 This all-laptop version of “In C” is designed to be inclusive for musicians, “non” musicians, and anyone who wants to experience playing in an ensemble in a whole new way. The emphasis is on listening, responding, and collaborating to make music. Let the machines handle playing all the notes for once! If you are planning attending, please bring a laptop running either macOS or Windows. We are looking for audience participation! If you can, please come when the doors open at 9am so we can help you set up your computer. This reading is informal, so come and go as you please! 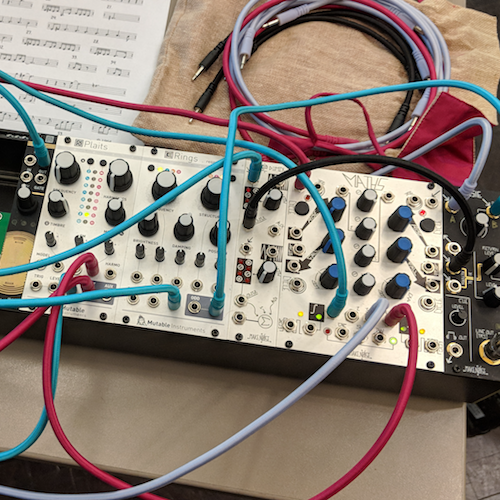 Bring a laptop and join in with members of LUTE in a community reading of Terry Riley’s In C. This year we are part of the Thirsty Ears Festival, a street festival of classical music hosted by ACM (Access Contemporary Music). We will begin at 2pm with a brief introduction and orientation. Once we get everyone set up and making sound, we will begin our performance. A typical run lasts around 45-60 minutes. Download a copy of our app (Mac/Win) in advance or just show up and we will make sure your laptop is all set up to play along. If possible, please also bring multimedia speakers. Speakers must be connected to your laptop’s headphone jack, Bluetooth will not work. LUTE’s semi-annual informal reading of Terry Riley’s “In C” arranged for laptop ensemble is happening on May 3nd, 2018. Come take a stress break from final exams to commune with Terry Riley’s 1964 minimalist masterwork via laptop. We are seeking thoughtful individuals from all backgrounds and technical and/or musical abilities. 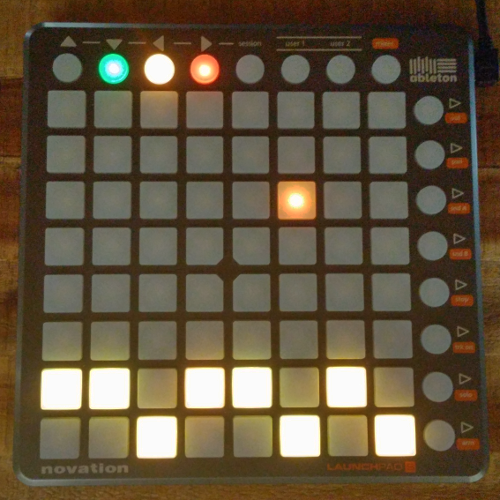 This all-laptop version of “In C” is designed to be inclusive for musicians, “non” musicians, and anyone who wants to experience playing in an ensemble in a whole new way. The emphasis is on listening, responding, and collaborating to make music. Let the machines handle playing all the notes for once! If you are planning attending, please bring a laptop running either macOS or Windows. We are looking for audience participation! If you can, please come when the doors open at 9am so we can help you set up your computer. This reading is informal, so come and go as you please! 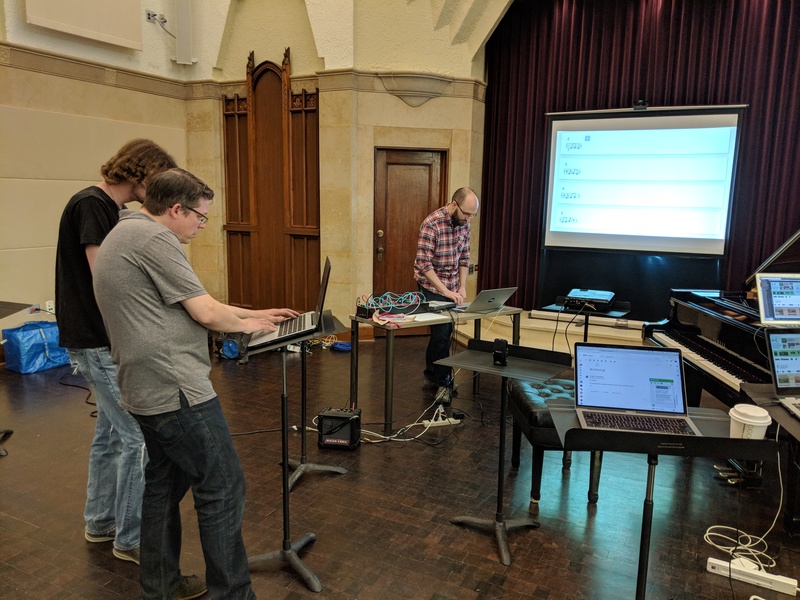 We are a contemporary “laptop orchestra”, but our broader title encapsulates our music technology research and classic ensemble instrumentation. We actively perform on and off campus, check out our upcoming performances below. 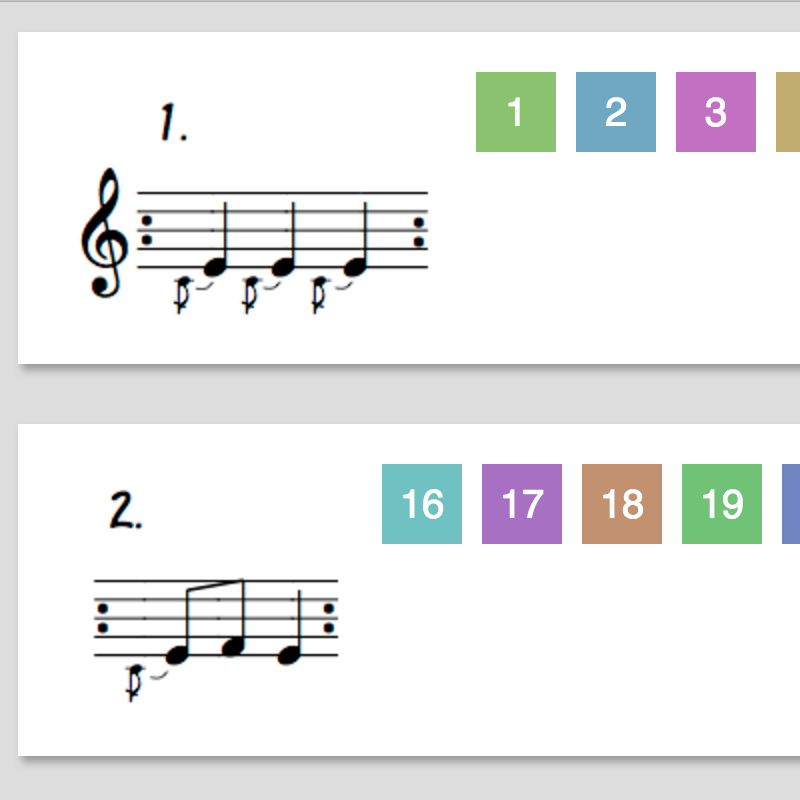 Our In C app enables the performance of Terry Riley's minimalist standard In C regardless of the musical experience. It is currently being developed into a web app. The app also pairs well with the Progress Viewer, designed to visualize the current progress of an In C performance typically with a projector. Still curious? All of our software projects are available here.